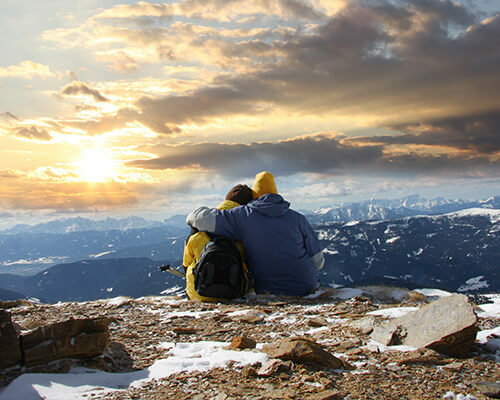 It’s difficult to go wrong with a honeymoon in Dalhousie. 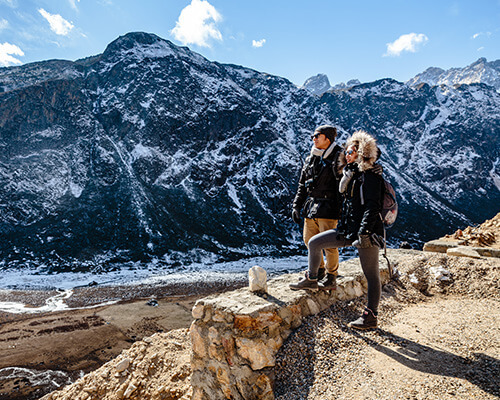 This little hill station in Chamba District is known for its stunning natural beauty, pleasant climate, and a peaceful vacation for couples. 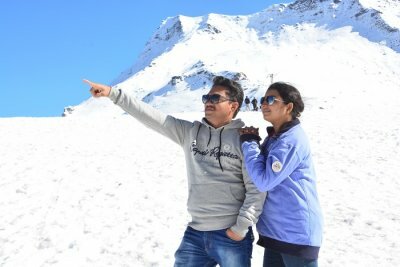 If you want to celebrate the beginning of your new life in the hills without burning a hole in your pocket, then this list of best hotels in Dalhousie for honeymoon will surely lure you. 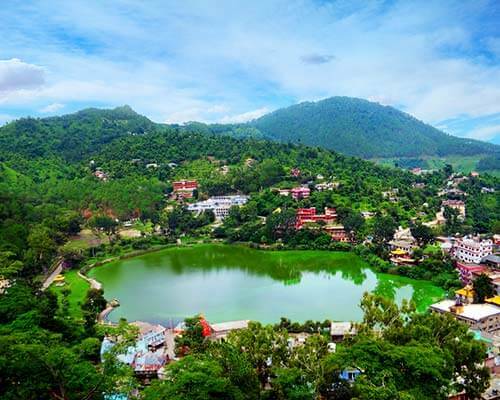 There aren’t any 5 star hotels in Dalhousie, but the hotels in 4 and 3 star category hotels offer everything you need for your special vacation. You’ll be touched by their warm welcome, great services, and awe-inspiring mountain views. Isn’t this all you need? 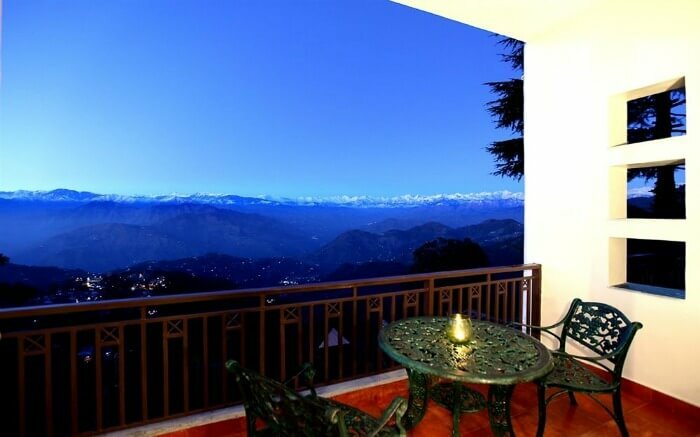 Hotel Mount View Dalhousie is one of the most preferred hotels for a super romantic honeymoon. 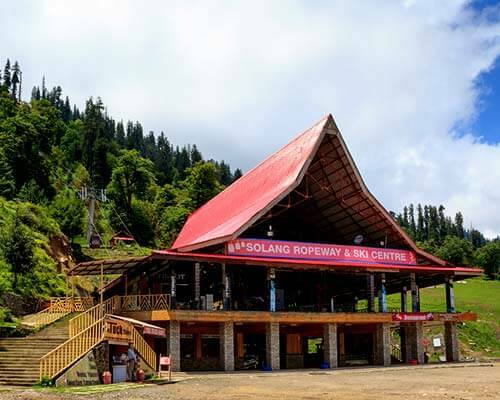 It is not only the most awesome Tantra spa, but also offer modern amenities, splendid views of Dhauladhar, Pir Panjal, and Bathari Valley along with some romantic activities like a candlelit dinner against the backdrop of verdant mountains. From private bonfires and live folk music to indoor games—they have it all. Romantic experiences: Complimentary spa services for couples which include rejuvenating milk and honey bath, Jacuzzi, sauna and a signature body massage. 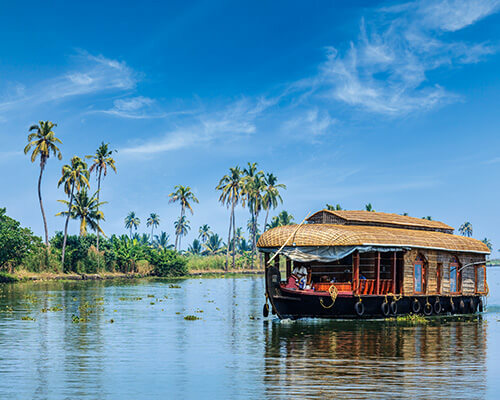 Tariff: INR 6,000/night, but you should go for an all inclusive honeymoon package available on their official website. 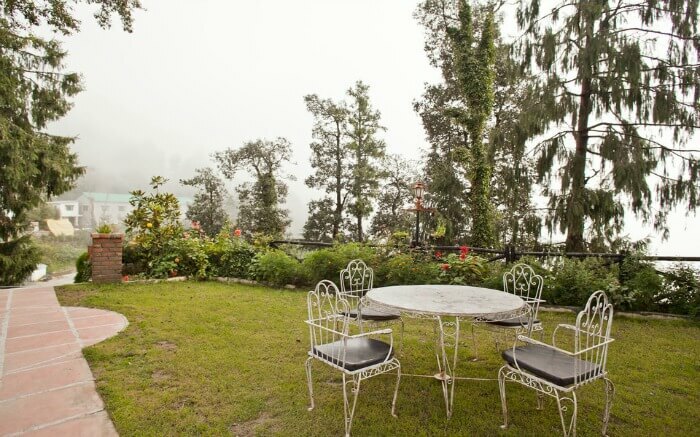 Overlooking the luxuriant deodar forest and sparkling waters of Ranjit Sagar Dam—Hotel Dalhousie Heights is one of the most popular honeymoon hotels in Dalhousie. 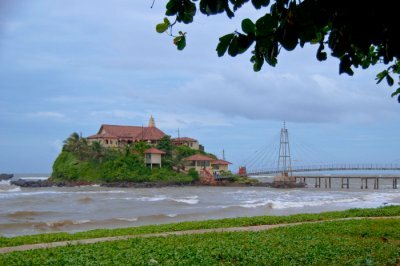 Equipped with facilities like Jacuzzi, swimming pool, steam bath, sauna, and health club, this hotel is a haven for duos planning for a pleasant yet fun-filled honeymoon. 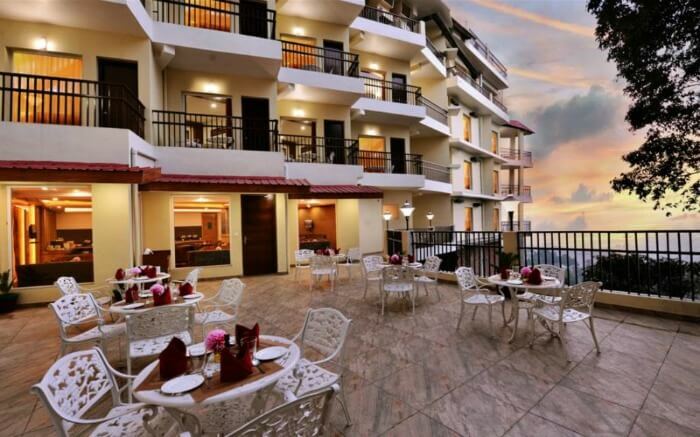 Lovebirds who want to experience the best of luxury and indulgence—Grand View is the best option in the league of honeymoon hotels in Dalhousie. 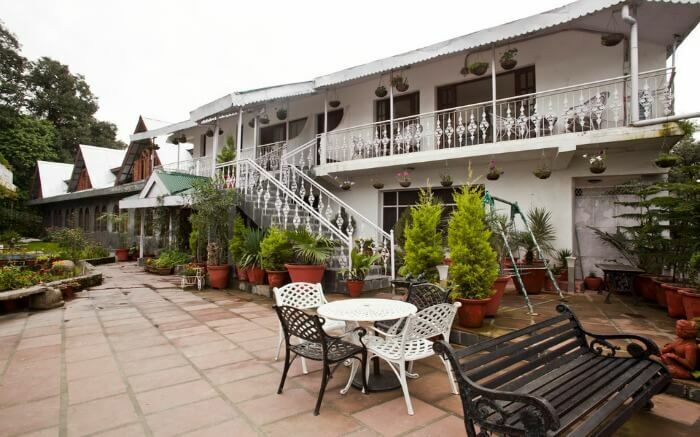 Located close to Dalhousie club, this romantic retreat overwhelms newly married couples with stunning views of the snow peaks of Dhauladhar Range, manicured lawns and terrace, tastefully designed rooms, and mouth-watering delicacies from Tiffin, which is the largest restaurant in Dalhousie. Romantic experiences: Candlelit dinner, private bonfire, cake on arrival, chocolates in room and exotic couple massage at the Tattva Spa. 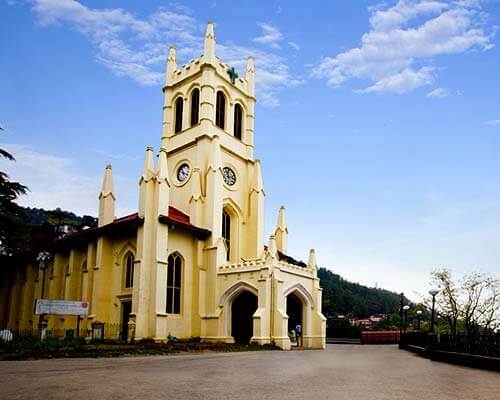 One of the most favorite luxury hotels in Dalhousie—Hotel Grace Mount is just a 10-minute drive from the heart of the city. Along with a pleasant stay experience, the hotel offers private sit out areas for you to enjoy the warm sunshine and thrilling activities like quad biking and nature trail on golf carts. Romantic experiences: Frame the special photograph in local Himachali dress clicked by the hotel as a complementary offer. Also, a surprise gift on checking out for honeymoon couples. 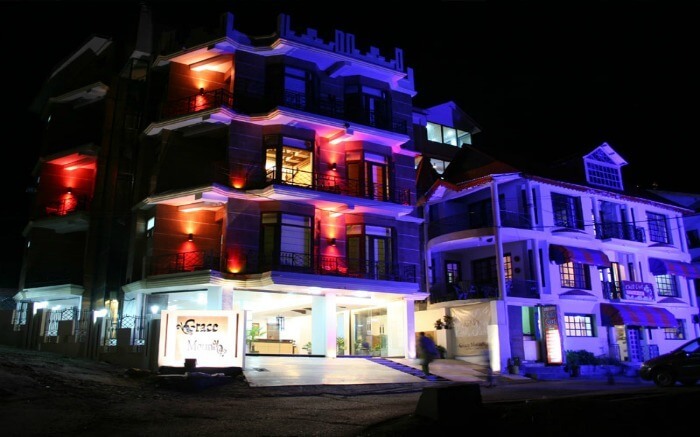 JK Clarks Exotica boasts of its 35 rooms and suites, lounge bar, and fine dining restaurant called The Bridge. The hotel is surrounded by lush green mountains overlooking the valley that gleams at night. 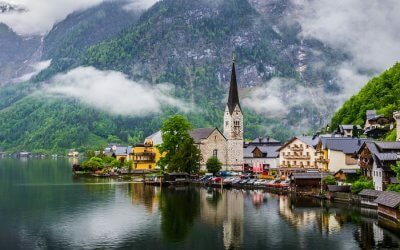 Far, far away from the hustle bustle of the city life, this is a great place for both of you to relax and fall in love again. 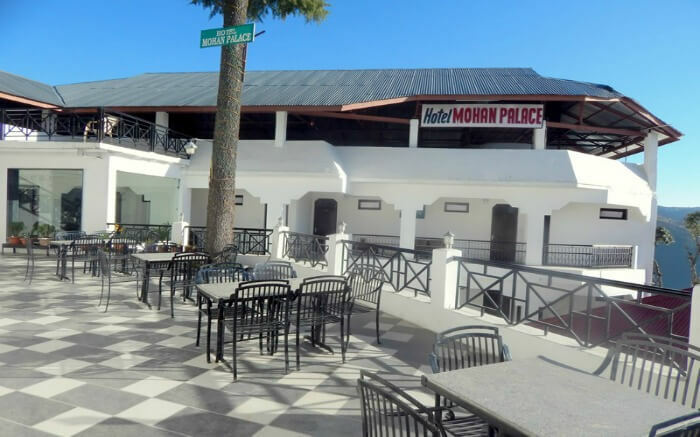 If you dream of a pocket friendly honeymoon in Dalhousie—Mohan Palace has some great deals for you. The amenities are modern, room service is appreciably prompt, and the views are absolutely stunning. You should also witness the beautiful sunrise with a cup of hot coffee from your terrace. 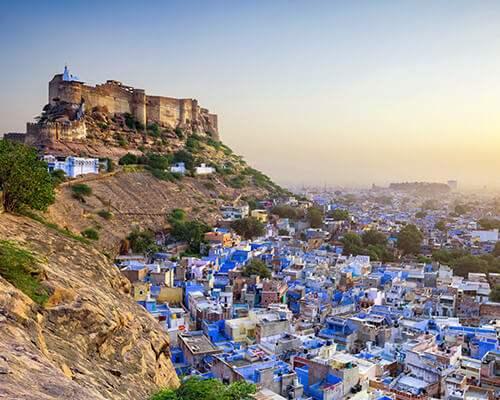 You can also walk to the local Tibetan market for some shopping with your better-half. 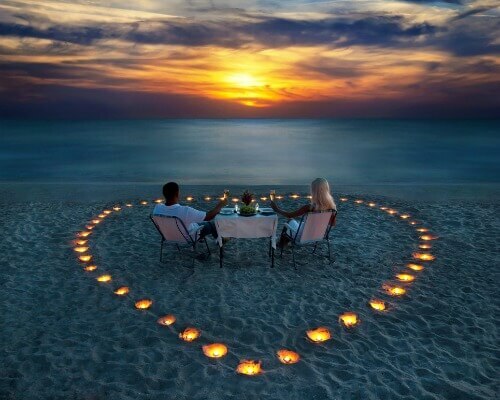 Romantic experiences: Go on a romantic evening walk to most photogenic sunset point. 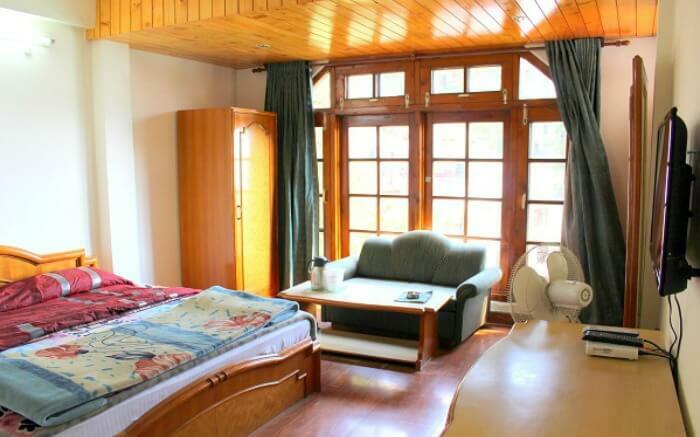 Nestled amidst the lovely deodar trees—Alps Resort is a great place for honeymooners to stay. 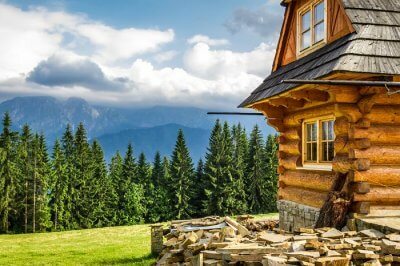 If you are looking for a nice, cozy, and comfortable honeymoon with personalized services in a moderate budget, then Alps Resort is the idyllic choice for you. Suggested suite: There are two suite rooms equipped with all the modern amenities, you can choose either of them. 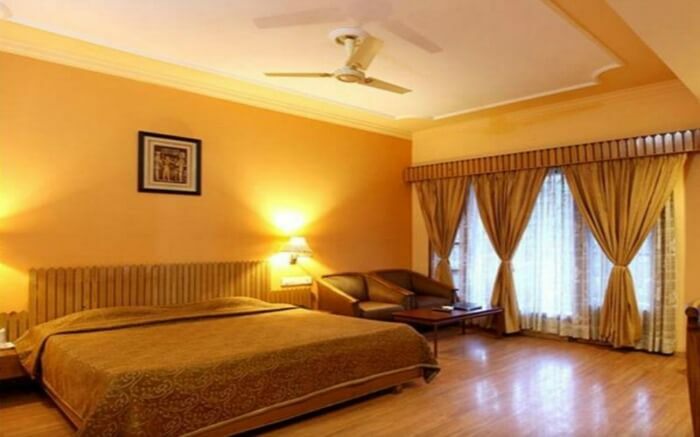 There are quite a few reasons why Hotel Kumar’s is one of best 3 star budget hotels in Dalhousie. 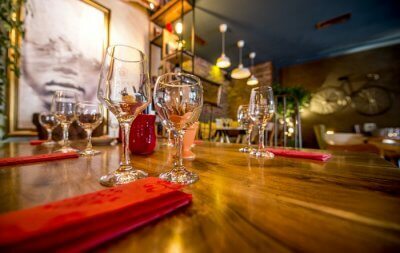 It’s convenient and idyllic location near the bus stand and mall road, spacious and airy rooms, and most courteous hotel staff are some of the best features that are liked by families and honeymoon couples. You get utmost personal care and attention with ample privacy. Romantic experiences: Dance to the rhythms and peppy numbers together with your beloved in the in-house disco and nightclub. 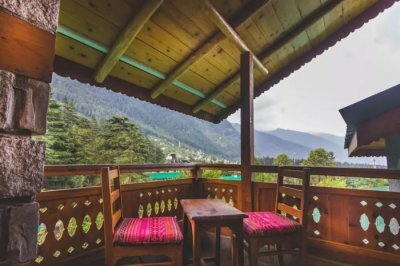 We hope this list of best hotels in Dalhousie for honeymoon help you make a decision about your stay there. 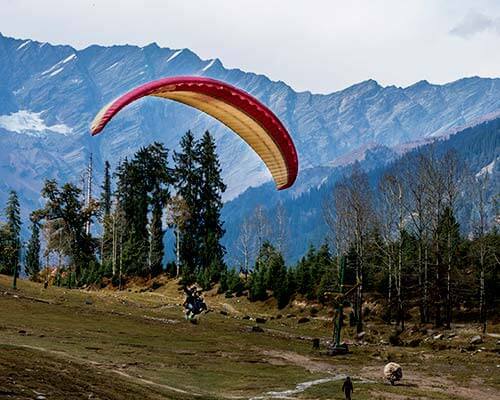 You can also explore honeymoon packages for Himachal if you’re not sure about how to plan your romantic trip and running out of time.